After School Courses are very popular at TCPS, offering benefits for students and parents alike. Our families trust the quality of our programs and are appreciative of the fact that their children are learning from some of the best instructors from their fields in Markham and the Greater Toronto Area! Parents can register their children for 1 or as many programs as they choose. All programs are held at the student’s regular campus. This saves parents time driving their children to similar programs in the evening or on weekends. All programs are interactive, educational and fun. Classmates and friends often sign up for the same programs making the course extra enjoyable. Courses are offered throughout the year from mid-September to June. After School Courses are scheduled outside of teaching hours on regular school days. The following are some of the After School Courses that have recently been offered to students. The artists from 4 Realms of Chaos, provided TPCS students with an informative and fun set of projects last term. The company has local and international clients for their amazing miniatures, and really appreciate instructing students with the hope to develop their interest in this fun hobby. The owner and instructor of our program, Tristan Frenette-Ling is a former TCPS student who is very excited to share his skill with our students. His nerdy passion for miniatures comes from his love of Lord of the Rings, Star Trek, Dungeons & Dragons and all things geeky. With over 7 years of professional miniature painting experience, Tristan knows all sorts of amazing techniques and tricks of the trade. With this program students will journey into the fantastical world of dragons, griffons, owlbears, and other mystical creatures. 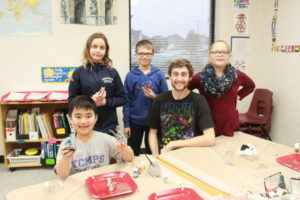 Students will learn not only how to paint 3D miniatures with a professional artist, but also learn how to plan and set up their projects, and the various techniques that will bring their models to life. The models chosen are high quality pieces with a great amount of detail to work with. Working with such detailed design improves fine motor skills, patience, design planning and is an excellent hobby for students who are looking at careers that require attention to detail, planning and precision. Students will take home their own dragon miniature and a second model chosen from a variety of mystical creatures. A scenic display will also be made for their chosen miniatures along with a customized themed base that students will create. ME to WE is an innovative social enterprise that provides products that make an impact, empowering people to change the world with their everyday consumer choices. The organization offers a number of programs aimed at raising confidence, social awareness, leadership and team building and more. We believe youth are problem solvers but sometimes lack the confidence to step out of their comfort zone to take action. This program taps into the potential of young people by building skills in peer to peer communication and confidence building activities. Our program uses a collaborative approach to promote the development of positive relationships between students, educators, and the school community. This program is focused on what it means to be a leader in the 21st century, exploring themes like digital citizenship and using social media for social good. Program facilitators work with educators and students to foster a greater sense of cooperation, empathy, and responsibility. Students gain leadership skills, learn about social issues and are inspired to engage their peers as active leaders in their school community and their world. At the end of the program, the participants will create an Action Plan for a school or community issue and they will explore how their action plans can leverage technology. The learning process includes identifying issues, education, skill development and action planning. Students will strengthen critical thinking, public speaking and presentation skills. The benefit of the Homework Tutorial is to allow students in grades 1 to 6 to receive extra assistance and guidance from a homework tutor in a class with a maximum of 5 students. This program is not only for students who are having academic difficulties but for students who require focused time for homework. Students who have many evening activities also benefit from this program as they get a head start on their homework and have less or none to complete after an evening activity. Students will begin working on the subjects that pose the most difficulty resulting in a positive relationship with their homework tutor. Students will also accomplish the homework with more ease. The result of this strategy is that students will gain understanding and confidence in the academic subjects that provide them with the most challenges. Grade 7 and 8 students will have the opportunity to take part in a Mathematics Homework Tutorial program 2 days a week. Students will receive assistance on current Mathematics assignments and test preparation to help improve their skills in this subject. There will be a maximum of 5 students per class. This program is designed for students who require assistance in Mathematics. The structure of the tutorial will be the same as the regular homework tutorial; however, only Mathematics will be covered. Taught by our grades 7 and 8 Mathematics teachers, this Mathematics program is a wonderful complement to our existing program. Students will be working on extending existing Mathematic skills as well as preparing for upcoming contests. This program will be challenging and fun for students who enjoy Mathematics. Students will experience further detailed explanation of Mathematical concepts, in-class exercises and have practice pretests. Although a good result in any given test cannot be guaranteed, the additional Mathematics work will definitely be an asset to any student. Note that this program is not a substitution for Mathematics assistance programs. If a student is struggling with Mathematics, homework tutorial or Mathematics tutoring may be a more suitable program. Students in this program should be enthusiastic about joining for their maximum benefit and enjoyment. A new program for our grade 1 students, Knowledge Makes Cents is a well-established financial literacy academy for children where they learn essential money skills for a successful future. Financial know-how, navigating the world of saving, smart investing and budgeting are skills that should be nurtured from a young age. 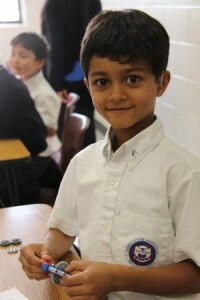 Knowledge Makes Cents has a common goal: to help children become financially responsible adults. By teaching children the value of money through age-appropriate programs, Knowledge Makes Cents aims to create generations upon generations of financially literate citizens. The French Tutorial will assist students from grades 3 to 8 with their French homework and give students the opportunity to increase their vocabulary and strengthen their French conversational skills in a social, small group setting. The School’s core French teachers will be teaching the French Tutorial program. TCPS is excited to introduce the Chess’n Math Chess program to our After School Courses line up. Please join us for a year of chess that will be fun, exciting and educational. The 32 year old Chess’n Math Association (CMA) is a Canada wide, non-profit organization dedicated to bringing the game of chess into elementary schools. 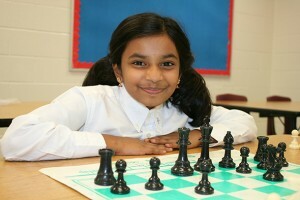 A number of studies have shown chess to improve children’s quality of life, mathematical skills and intelligence. Using their carefully developed, 9 level instructional program, they teach over 10,000 youngsters weekly all over Canada. The non-profit CMA is the largest and most economical of all Canadian chess organizations running school and evening lessons, camps, clubs and tournaments. Their instructors are highly skilled in all pedagogic methods, particularly ‘mixed-ability’ classes, where different age groups/levels are smoothly integrated into a seamless class. Each lesson is followed by a game session, and tournaments are held each term. Awards and certificates are given at the end of each term. The After School Digital Discovery program offers the chance to learn and play at the same time. As technology becomes more prevalent in our daily lives, the ability to use computers has become a necessity. The purpose of this course will be to introduce fun, new software packages and to enhance students’ existing skills. Students will be creating exciting projects working with various software packages such as Photoshop, PowerPoint, Illustrator, basic app design and more. This program is very popular with the students and it is recommended that registration be prompt as we allow 1 child per computer in each class. New this year is a special, challenging full year registration program for grades 6 to 8 students. 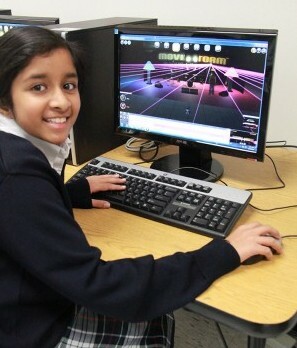 Students will learn basic elements of coding, animation, video editing and app design. Students will be provided with licensing for Adobe After Effects software that they will have access to for 12 months. Adobe After Effects allows students to create videos containing animation and special effects for graphics related projects. They can use After Effects to animate and alter media using various tools and optional plug-ins. We are pleased to welcome back Art One Academy to the School this year. Art One Academy is known for amazing Art Classes, Art Camps, and events. The instructors are all professional artists, chosen for their enthusiasm and ability to teach dynamic, engaging classes with a passion for art. They are dedicated to creating a learning environment in which students are motivated to achieve their full artistic potential. Animation Grades 5 to 8: Learning to draw for comics and animation can give students a new way to look at real life and give them an appreciation of people’s individuality and uniqueness, as they learn about how shapes and details can determine a character’s personality. An animator’s job is the same as an actor’s job in live action pictures. Both should be masters of portraying emotions. Students will learn how to draw and create human characters, animals or even fantasy creatures in the style of comic books and animation by drawing simple shapes that will represent the structure of the head and body and then adding the facial features based on general guidelines to ensure everything is in the right spot. The students will have a choice when they sign up for the Character Design Course this year as the course will be more independent in teaching and learning style. Students can create their own comic style story with their own characters or single themed characters and backgrounds like last year. The Instructor will help students to create their own characters and be able to tell a short story they come up with just like a comic strip. Alternatively students can choose to do single compositions like last year; however, none of the old projects will be repeated. The Instructor will put up large drawings for students to get ideas, as well as an aid for drawing. Some of the new projects for this year will include, Animal School Bus, Scientific Experiment, Animal Birthday Party, Manga style Faces, Astronaut Sheep in Space and Busy Bees. Students can also request a theme or animal that has not been done before and it will be included. Mad Science is the world’s leading provider of science based enrichment activities that will spark the imagination and curiosity of its participants. The Mad Science program will instill a clear understanding of Science and how it affects the world around us. Term 1: Students will learn about the science of flight and the forces that are involved in the process. Students will also discover the basic scientific principles of magic and learn how almost everything can be logically explained. Their reasoning skills will be put to the test as they become “junior engineers”, building and testing various structures. There will be a variety of topics and interactive experiments to learn from and enjoy during this term. Term 2: Students will not believe their eyes as they examine different optical illusions and watch as light and colour interact, tricking their sense of sight. Students will participate in classes where their taste buds are put to the test and learn how their sense of taste works. The basics of sound will be revealed with a cool Mad Science twist that will allow students to alter their voices through a sound machine! Studying scientific principles of heat, students will build their own thermometer. An abundance of scientific topics and experiments will keep students learning and having fun for the entire term. Term 3: In this term, students will learn to manipulate laboratory equipment, learn about the PH scale and atoms. Students will learn about polymers and make their own slime! Using glow in the dark technology, students will study the properties of light and many more topics. With so many fun and interactive activities, students are sure to enjoy themselves. This amazing, one of a kind program, is delivered by Logics Academy, a leader in robotics and aerospace educational enrichment activities. This program will provide students with the understanding of technology and engineering principles through fun and exciting workshops! Robotics and Engineering is taught by Logics Academy, a leader in robotics and aerospace educational enrichment activities. This course will provide students a variety of projects that introduce them to different engineering concepts each week. The lessons maintain a hands-on learning approach for every class that engages students while they develop their visual-spatial, fine motor and problem solving skills in a collaborative working environment. Senior elementary students will have the opportunity to explore mechanical, electronic and programming tools to solve real life challenges. Students will work in teams to design, build, program and test a solution. Teams will prepare for challenge days as they compete for the best solution. Sports With Jay (SWJ) coaches are experienc ed in working with students of varying ages, excel at motivating students and provide students with excellent skills. This program includes instruction in the skills, drills and game of a variety of sports including hockey, volleyball, dodgeball, baseball, soccer, basketball, tennis, football, golf and lacrosse, all of which will be taught in a safe, structured, positive and fun environment. 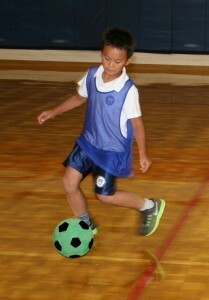 The Multi-Sports program also includes cooperative and interactive games all geared towards motor skill development. This fast paced and exciting program is too good to miss out on! Classes will consist of warm ups, skills and drills, and a game. This exciting program is popular so early registration is suggested! The Mandarin Badminton Club is an established club in the Markham area that teaches both competitive and recreational badminton. Students will be learning various skills and game rules. Once considered a slow, low-intensity activity, badminton is now recognized as a quick-moving, explosive sport much like volleyball or squash. Students will increase their flexibility, cardio-respiratory ability, strength, endurance, self control, discipline and positive sportsmanship. 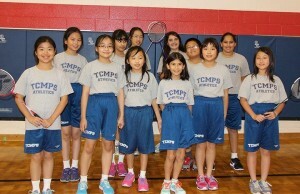 Once students have mastered basic techniques, badminton games will be a regular part of each class. Having the opportunity to work with certified coaches and proven competitors will be an excellent and exciting learning experience for our students. This program will help improve skills for the grade 6 students who wish to try out for the SSAF badminton team and for those students who just want to have fun! As this program is a martial arts program, safety, discipline and respect for both students and instructors will be emphasized. Besides self-defense, students will learn patience, perseverance, self-discipline, concentration and respect. In addition, physical benefits such as increased cardiovascular capacity, flexibility, coordination and balance are achieved over time. Students will work individually towards the different belt levels. Students will be registered through Seneca Tae Kwon-Do to the Ontario and World Tae Kwon-Do Federations. Benefits of these associations include additional insurance, eligibility for Tae Kwon-Do events, seminars and clinics. During the year, some students will be ready to move ahead into contact sparring. Additional equipment is required for each individual who will be participating in contact sparring. A full set of sparring gear includes safety approved head gear, chest shield, groin cup, mouth guard, leg protection and arm protection. This equipment should not be purchased without the instructor indicating that the student is ready to move to this level. The equipment does not have to be purchased from the instructor, but it must be approved by him. Town Centre Private Schools is very excited to offer Yoga with Tracie for our grade 1 students. Yoga is a healthy, safe and enjoyable activity that brings the joys and benefits of exercise to children. Tracie Smith’s classes are fun! Children use imagination to explore animal yoga poses. Songs, games and nature themed props are used to achieve various stretches and static positions to improve flexibility, coordination, body awareness and self-confidence. Children will also learn breathing and relaxation techniques as they stretch, breathe and celebrate life together. The After School Visual Arts Course encourages grade 1 students attending the Amarillo Campus to develop their natural sense of creativity, expression, and imagination while teaching the students practical and technical skills in the different areas of art and design. Through weekly classes, students will be taught a detailed cross-section of the different visual arts and design media, including drawing, sketching, painting and sculpture. All of the necessary materials for this class are supplied – students need only to bring themselves and their creative spirit, however, it is recommended that students bring a smock or an oversized shirt to protect their clothing. Students will have fun working and creating together, as well as improving their technique through the study of a variety of art forms! We are pleased to welcome back this amazing program brought to you by Unionville’s Art Adventures. Art is exciting! Students will have a wide variety of projects that will engage them in each and every class. Projects included will be a clay wall art piece, printmaking, watercolour with pen and ink, acrylic paint, multi media projects and more. As projects are completed, they will be sent home. Be prepared to create a gallery wall to highlight your child’s work! Also sketchbooks and take home assignments will be provided for students who wish to continue to practice their new skills at home! Enjoying creating art projects and learning various skills can benefit students for a life time. Increasing creativity, concentration, independent thinking and student enjoyment are just some of the benefits of working on amazing projects week to week. While expanding their skills base, students will work on a variety of projects such acrylic on canvas, rain sticks, silk painting, pastels, still life in pencil and much more. Also sketchbooks and take home assignments will be provided for students who wish to continue to practice their new skills at home! Sewing and needlepoint are some of the skills that will be taught to the boys and girls in the Needlecrafts course. The students will be working on a number of projects that will enhance their creativity and teach an appreciation of needlecrafts. Grade 1 participants in this program learn a new and valuable skill and take great pride in the work they bring home! The TCPS Choir was very successful last year and promises to provide wonderful performance opportunities for our aspiring singers! Singing is an excellent source of relaxation and fun. 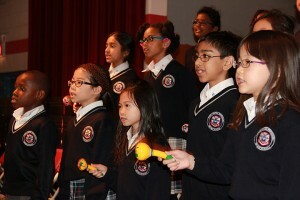 The choir will have opportunities to perform at school and in the community. The study of Music in more than one area is also very helpful for students who play recorder or perform in band as concepts and theory are constantly reinforced. Our choirs will be taught by the elementary Music and Band teacher. The year will be fun filled with both contemporary and traditional choir repertoire. Town Centre Private Schools is very excited to offer the Orff Music program to grade 1 students at the Amarillo Campus. The Orff program, developed by the well known German composer Carl Orff, is an approach to Music education that combines the elements of speech, rhythm, movement, instruments, dance, and song. At Orff Music Club children will have the opportunity to expand their imaginations, to play and refine their skills on the Orff instruments in an ensemble setting, and learn to create their own music and movement through improvisation. The Orff Music Club will give children a chance to play a role in creating Music that is intertwined with storytelling, drama, and dance. 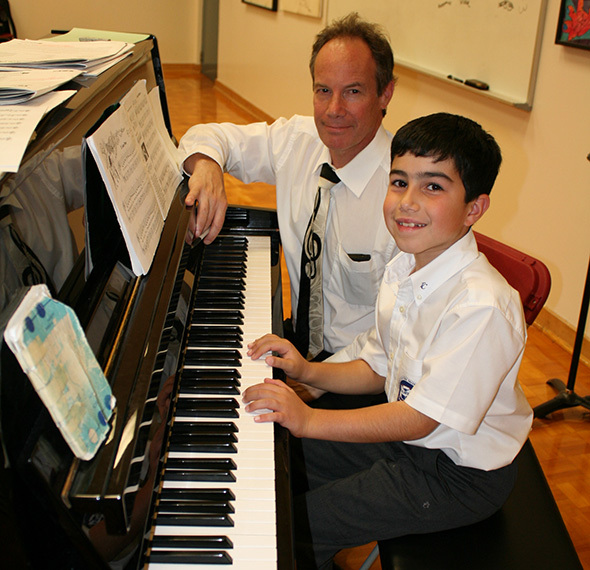 Our Piano and Theory program strives to develop a well-rounded student in Music, providing private instruction before school, during the lunch hour and after school. Students involved in this course will study both Piano and Theory offered as distinct yet cooperative subjects. Students are encouraged to move from beginner levels to the Royal Conservatory levels. It is recommended that students practice a minimum of 15 minutes per day at home. The course is taught by qualified instructors, all of whom have a wealth of knowledge and experience as educators and performers. Students who will be studying piano beyond 1 term will require an electronic or acoustic piano at home for home practice. 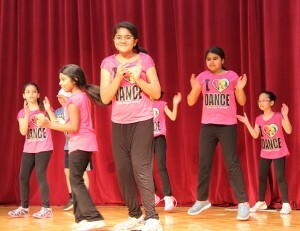 The Dance Program at TCMPS is one of the longest running and most popular After School Courses. Students will begin the study of dance and ballet and will individually learn various dance skills as well as learn how to perform as a group. The first term is devoted to the study of dance and performance. The second term’s focus continues to be dance; however, students will be preparing for their end of year recital. 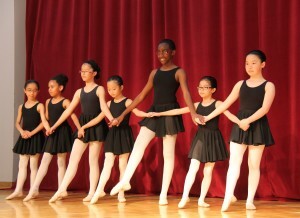 The Ballet program is a progressive program that allows students to explore Ballet movements and techniques while developing their dancing through yearly exams and performances. Exams are part of the curriculum and the cost has been included in the fees. Further information will be provided closer to the exam date. Please note, should a student have outside Ballet experience and wish to join the program, an assessment will be done to determine which class will be most beneficial. We have 2 programs this year: Junior and Intermediate. Junior is a 2 year program for students with less than 2 years ballet experience. The Junior program requires training once a week. Intermediate is for students with more than 2 years ballet training. The Intermediate program requires training twice a week. Hip Hop is a current style of dance which is commonly seen in music videos. This class teaches current, age appropriate choreography adapted from the styles of the students’ favourite stars. This class is a great workout and includes fun combinations and routines.